There are always ways around everything!! After years of eating healthy and still being very ill, I chose to spend one full year without even one bite of anything that was not nutrient-rich. I mean nothing. That meant, for a whole year, every single bite had to count for adding pure nutrients into my body. It was a chore but I found ways to make it fun. What are they? They are the rich colors of pink, purple and blues. Tomatoes — think red for dinner, pink for dessert!!!!! The insides of a pomegranate are a burst of pink delight. Start with a local grocery store or farmers market. Fresh is always best. If you have someone who will go to a store and hunt down fresh, go for it. Try to get organic produce instead of conventional. Add a scoop of powder into smoothies or an “açaí bowl” and it adds beautiful color to your meal. Psssst…. açaí is one of the colorful phytonutrients. It is more purple than pink but it is a very fun healthy color. 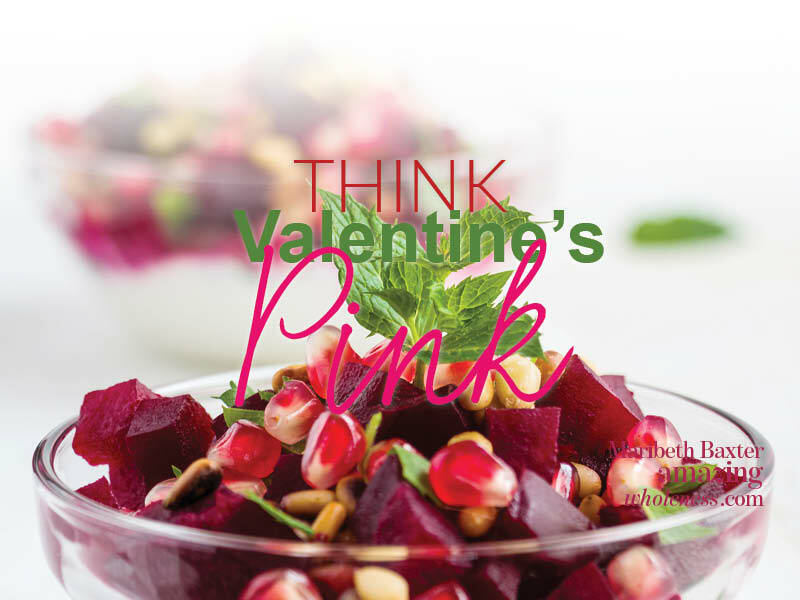 There… you have a PINK meal that is fun, nutrient-dense and in the Valentine’s Day spirit.